The Micro is a small 2.5-5 liter tankbag. Fits most bikes and is an excellent around town bag. Compatible with the SW-MOTECH Bags-Connection Non-Electric EVO QUICK-LOCK Tankrings. 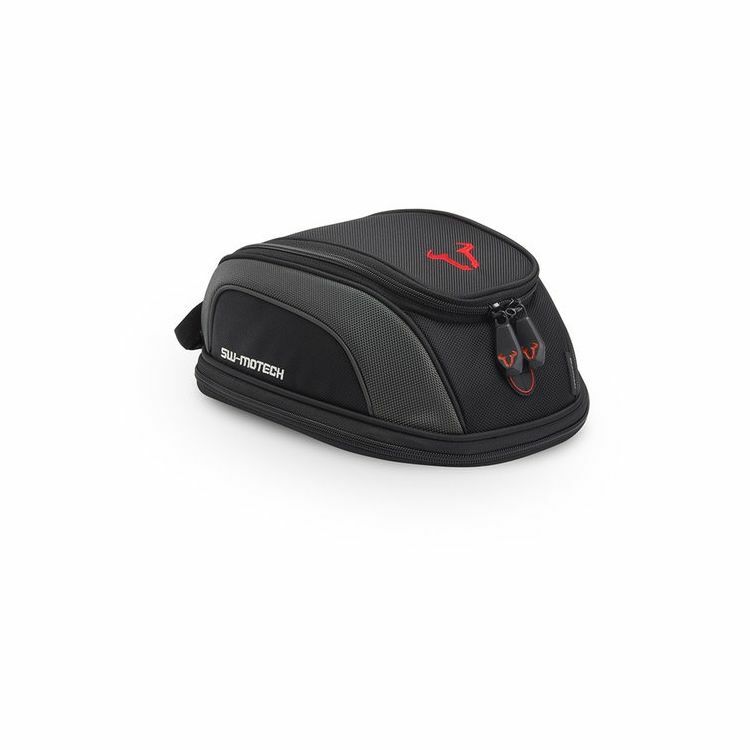 The SW-MOTECH QUICK-LOCK tankbag system enables the tank bag to be mounted or removed easily without the use of straps or magnets that may damage your motorcycle's finish. The system includes the tankbag, upper tankring and a separately available tankring that is designed to be installed onto the motorcycle. Once the system is assembled, the tankbag can be snapped securely into place or removed by pulling a release lanyard at the front of the tankbag. Note: A bike-specific bottom SW-MOTECH QUICK-LOCK EVO Tankring Adapter Kit is required for installation and is sold separately.